Ok so maybe I just made up the term “statement plant” but I think it should become a thing. I love that there is a trend towards bigger plants in homes because it brings a little bit of the outdoors inside. There is something about a statement plant that just makes a room. For my new apartment I knew I wanted a bigger plant to balance out our high ceilings and wider space in the living room. 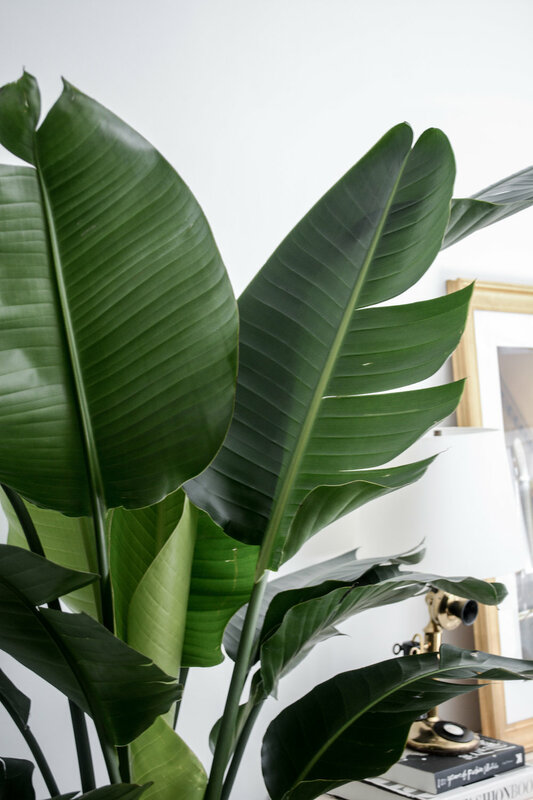 I had seen the big, glossy tropical leaves from a Bird of Paradise plant in several room designs I’d admired and knew that would be the perfect plant for that space. Plants, like artwork, are an investment for your home. Things like pots, much like frames, add up but definitely can make the difference. I wanted to find a place that had high quality plants that came with beautiful pots. When I was looking at plants, I came upon Leon and George. It is a plant store that does everything for you from delivering the plant to your apartment to making sure your plant stays alive long after it’s been delivered (well, sort of, you do have to water it yourself). They offered to send me a plant to try out the service myself. They have a wonderful selection of plants from smaller ones that are tough to kill (for those brown thumbs out there) to huge trees that are perfect for making a serious statement. Also, with each plant purchase they donate money to plant trees in US forests. Win for you. Win for the environment. Of course, they also had my favorite, the Bird of Paradise. Each plant comes planted in a beautiful pot with moss, which I love because it’s always so hard to find the perfect pot. So I picked out the extra-large Bird of Paradise and the process was totally seamless—they even delivered the plant right to my door. The plant itself is gorgeous, green and very healthy. I also LOVE it in the space. Whenever anyone visits, they always comment on how beautiful the tree is. I will admit that when this plant came, I was a little nervous to take care of it because it was so perfect when it was delivered. However, the good news is that Leon and George has a plant doctor who you can send pictures of your plant to and they will help you solve the issue. 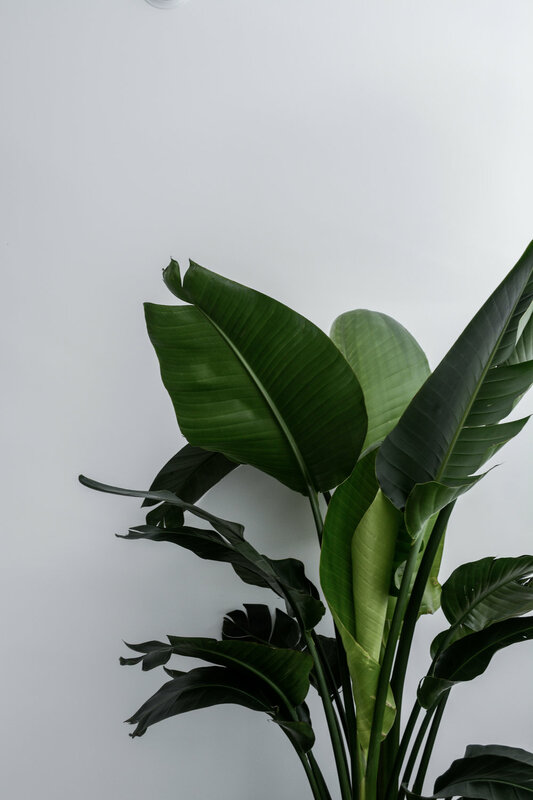 When investing in a larger plant like this, having a plant doctor is a nice reassurance that you will have someone there to help you take care of it. Now when I sit on our couch under the leaves of our Bird of Paradise tree it reminds me a little bit of being on vacation. I am very happy that we got a statement plant to really make the room feel done. Thank you to Leon and George for gifting me a plant in exchange for this post.